Nothing can be sweeter than spending a little bit of time and effort on a homemade creation, so with Mother’s Day around the corner, now is the time to kick start your baking bonanza. 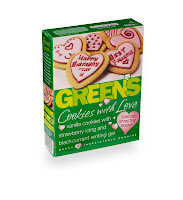 Convenient and easy to make, these vanilla flavoured cookies come complete with scrumptious strawberry icing and blackcurrant writing gel so you can personalise your cookies with lovely Mother's Day messages. 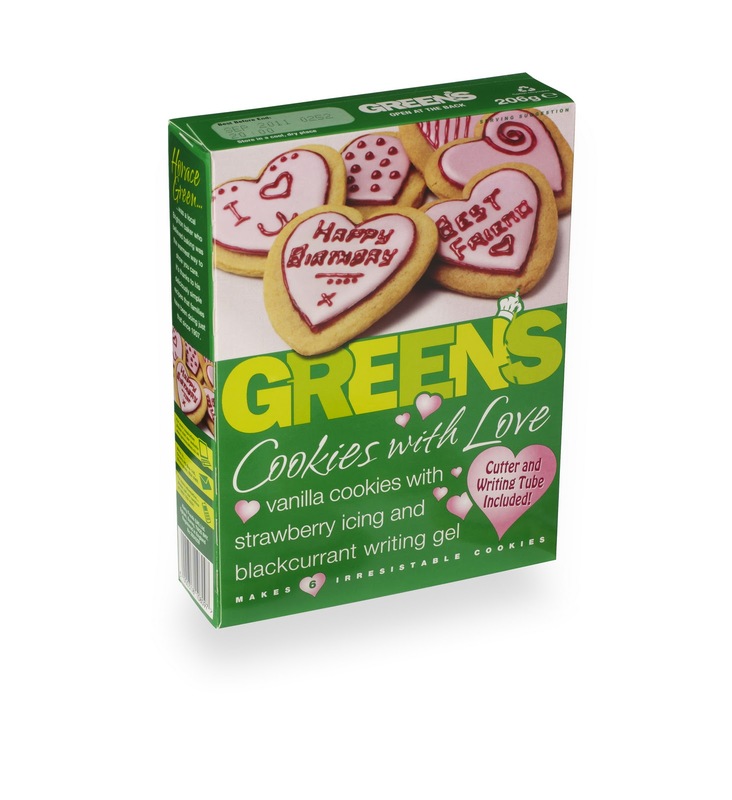 All Green’s products are made with natural ingredients and no artificial colourings and the cookie box also includes your very own heart shaped cutter. Cookies with Love are sold exclusively in Asda for £1.25. "We absolutely loved this kit, it's so easy - all you need to do is add butter - something we've all got in the fridge. The Cookies with love Set comes with a heart shaped cutter which you can reuse again and again. These cookies are great for any time of year but we'll be buying more packs to decorate for Grandma on Mother's Day. What a lovely handmade gift with not much effort and delicious too - nom nom nom." "The first time I used this I wasn't particularly stressed but I just wanted to have a smell and see if it had any affect on me. I wasn't really sure it did anything to be honest. A few days later I hit a particularly 'testing' time with my son and thought I'd give it a go. It didn't stop the rage immediately I must but it did relax me and calm me. It's hard to explain how it worked but it left me feeling 'unwound' is that a word - he he - what I mean is - usually I would have been in a bad mood for the rest of the evening but I wasn't. Worth a try - I'm keeping it with me at all times!" Our Mineral Glow Starter Kits will help you on your way to healthier glowing skin. Whether you want to create a subtle healthy glow or summer tan with our 'Bronzed Mineral Glow' or illuminated and shimmering skin with our soft pink 'Shimmer Mineral Glow', these sheer, natural powders will leave your skin looking and feeling healthy and radiant. After following this beauty regime you will noticeably feel and see the pure difference e.l.f. Natural Mineral Makeup can do! All of our mineral glow powders are 100% mineral based with no parabens, no preservatives and no chemical dyes. "Summers on the door step but I'm one of those people that likes to look glowing without the help of the Sun. I usually use bronzing pearls so I was looking forward to trying something different. I have in the past struggled with loose powder but there's a little 'tray' inside the ELF set so you can't overload your brush. It's not as orange as my pearls, which can only be a good thing, and I found that it left me with a lovely natural glow. Lovely set, soft brush and case. Fabulous." 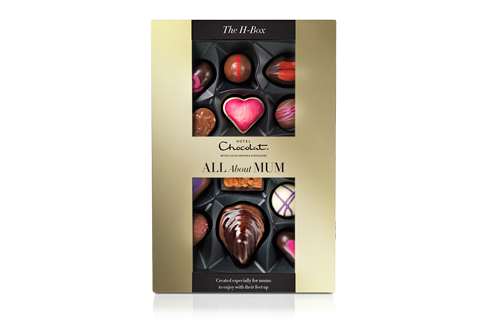 Chocolates created especially for mums to enjoy this Mother's Day with their feet up – including melt-away pralines, uplifting fruity recipes, mellow caramel, luscious truffles and more, all beautifully decorated and ready to make sure your mum is well and truly pampered this Mother’s Day. "It's no secret that I'm a chocolate fiend -I literally tore the box apart when it arrived! I did the usual trick of eating my least favourite flavours first but even they were A-mazing and by the time I got to the end I was in chocolate heaven! These chocolates were something else and they've certainly left me wanting more. I know what I'll be getting for my Easter Treat!" 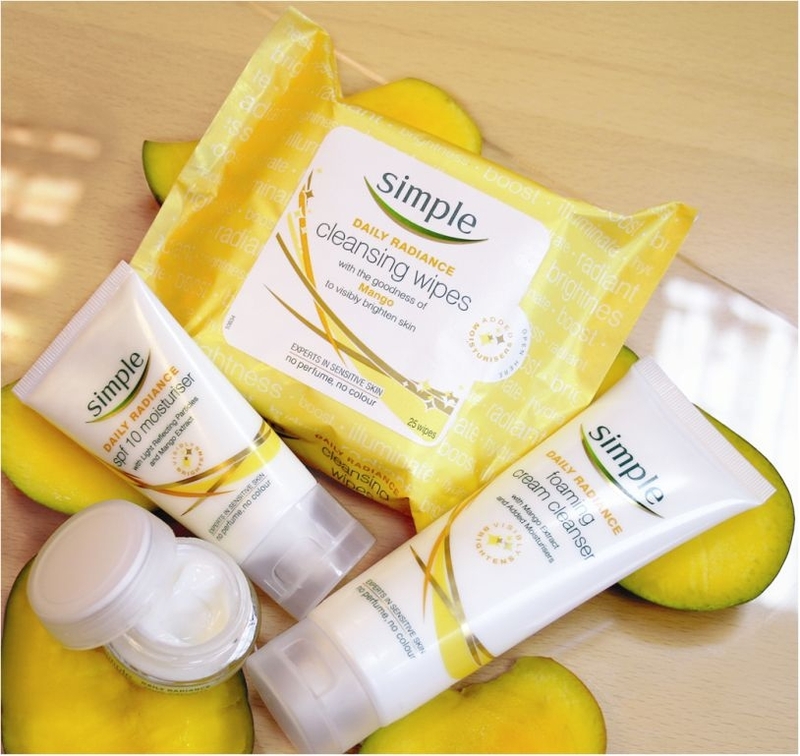 Simple offers the perfect treat for your mum this Mother’s Day with the Simple Radiant Skin gift set. The Simple Radiance range is packed with a blend of vital vitamins and skin loving nutrients, further boosting and brightening the skin, creating a more youthful, healthy, glowing appearance every day. Perfect for mothers in need of a little lift, the Simple Radiant Skin gift set contains Simple Radiance Cleansing Wipes, Simple Radiance Brightening Moisturiser SPF 10 and Simple Radiance Eye Cream. All Simple products are formulated with no perfume, no colour and no harsh chemicals, so you can rest assured that the Simple Radiance range is suitable for all skin types, even the most sensitive. "I've heard a lot about Simple but in honesty I'd never tried it. The range is absolutely gorgeous though and the creams smell good enough to eat. The products are packed full of 'mango goodness and they really left my skin glowing. I use these everyday now and I'm already leaving notes for my OH to buy me more! I would recommend you all to try this and I know my mum would love one of these sets too. The wipes are handy and keep them in my bag at work to perk me up! The range is a great price and is well worth the money." *Simple are offering a 50% discount on the gift set to anybody that signs up as a Simple V.I.P. (exclusive to http://www.simple.co.uk/) in time for Mother’s Day. Mama Jewels is all about gorgeous motherhood, whether it's Mum to be gifts, unique new mum gifts or breastfeeding necklaces, we have a gorgeous selection of teething necklaces and nursing necklaces. Mum shouldn’t sacrifice style and we believe that a happy mummy makes a happy baby. Our gifts are thoughtful, practical and above all glamorous. We truly believe that New mums give up so much when baby arrives. Unusual New Mum presents are our speciality and we feel that this is a very important time to treat mum. Aromathetrapy Associates Miniature Bath & Shower Oil Collection (£28.50)An international best-seller, the Miniature Bath & Shower Oil Collection contains award winning blends of natural bath & shower oils to suit your Mum’s every mood. The Relax oils restore peace and tranquility, De-Stress can help to clear the mind and ease physical stresses and strains, Revive invigorates and energises and Support takes care of your Mum in times of need. "Having just gone back to work, I'm finding myself quite stressed out and there's nothing better than a nice warm bath to unwind. I've tried all of these fab oils my favourite is definitely the De-Stress Mind Bath & Shower Oil. It smelt good and I believe it helped me really helped me to relax and unwind. 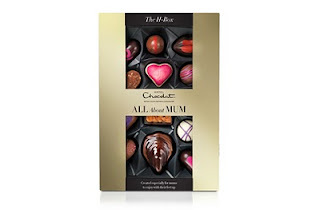 If your mum likes a little bit of luxury then treat her - she'll love you just that little bit more." Our new model Quadrante coffee machine, inspired by new interior design trends, is more than just a great looking coffee machine. 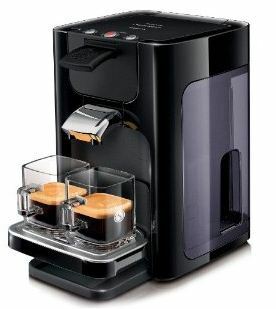 Apart from inheriting the ease of use and speed from it's predecessor it also brews coffee in under a minute.With a unique brewing system for optimal coffee taste,every cup of coffee is freshly brewed and prepared with the ultimate balance between coffee and water - a guarantee for a smooth, full coffee taste and delicious aroma. Removable extra-large water reservoir for fewer refills (4 mugs/8 cups). "I was so excited to test this - poor Leanne doesn't like coffee so she couldn't test it herself mwahahaha *evil laugh* Firstly I'm pleased to say that it was really easy to set up once I discovered the quick start card but I would recommend that you give the tank a shake before you use (just to realease the sensor). You can interchange the filter thing-a-me-bob depending on whether you want 1 cup or two. (I used the 2 cup for one big mug) We tested the Easy Weekend and the Morning Americano pods (they look like giant teabags) we loved both but preferred the latter. It's a fab coffee machine that's changed the way our house drinks coffee. The only downside was that you didn't get the fancy square cups shown on the box : ( All in all, a great invention, quick brews and I think my Mum would agree!" Mothers always enjoy the gift of beautiful flowers delivered to their homes. Choose from a wide variety of vibrant, colorful arrangements online. Why not have flowers delivered?